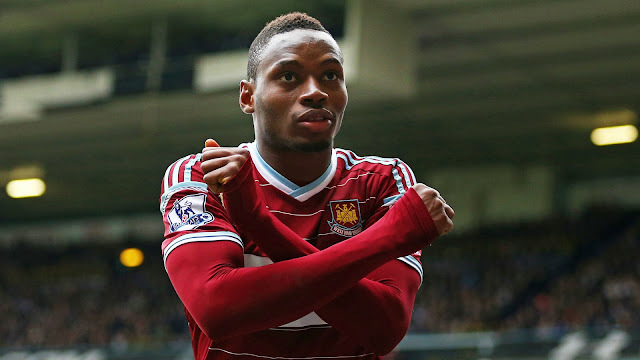 Senegalese international Diafra Sakho has reportedly handed in a transfer request at his English Premier League (EPL) side West Ham United. The 26-year-old frontman, who has been in the books of the Hammers since 2014, was the subject of a failed £11 million bid from Sunderland AFC last month. Sunderland manager Sam Allardyce is believed to be keen to reunite with Sakho. Former Hammers manager Allardyce brought Sakho to the EPL from French side Metz. According to Sky Sports, lethal frontman Sakho has now submitted a transfer request ahead of the 2016/17 campaign which starts next month. Sakho, who was once in the books of Boulogne in the French Ligue 2, has also been linked with another EPL outfit West Bromwich Albion. The gifted player was left behind in England when the Hammers travelled for their pre-season tour in America as he complained of illness last weekend. During the recent 2015/16 season, the forward netted five goals from 21 league appearances for the Hammers.